“I’ve been jotting down some notes this morning and I laid out what I believe the video means — and I didn’t smoke a joint!” she announces on a call with TIDAL and the video’s director, actor-writer-director-comedian Richard Ayoade. Ayoade is all too happy to hear said thoughts. 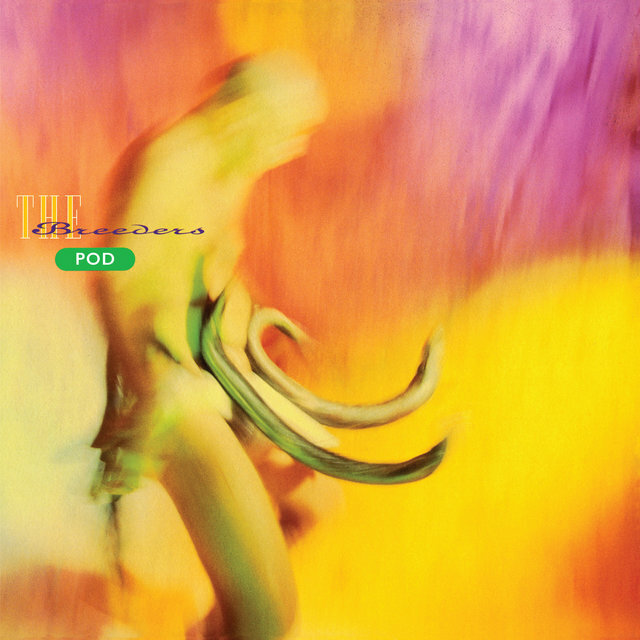 “Spacewoman” comes off the Breeders’ first record in 10 years, All Nerve, which came out in March via 4AD. TIDAL partnered with the band to fund the video, which is premiering exclusively today on TIDAL. 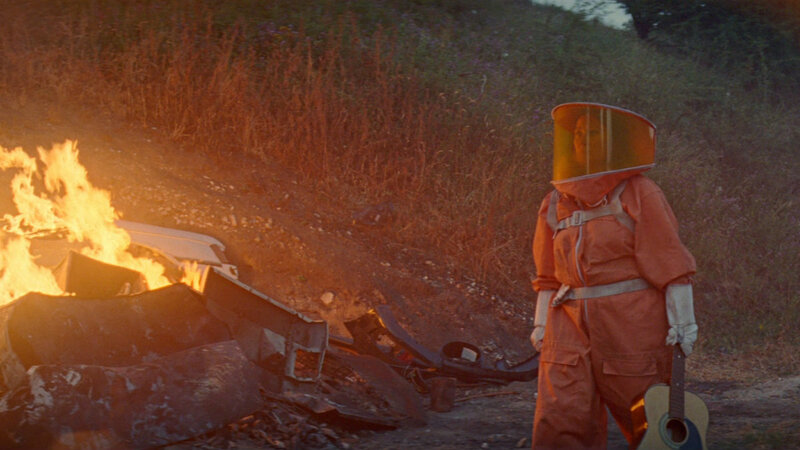 The video certainly boasts more than a touch of doom: it depicts Deal, clad in a kind of HAZMAT space suit, dashing through a wooded landscape that Ayoade reveals is an abandoned fort in Kent, England. She runs past a crippled Jim Macpherson, still trying to drum as he crawls on the ground, and Josephine Wiggs, hanging from a tree, impaled by her bass. Finally, Deal finds her sister and band mate, Kelly Deal, standing on the edge of a cliff, staring into a ring of light with her guitar in hand. The result is an eerie, gorgeous short story of a music video — the slickest Deal says the band has ever done. Ayoade says that it was shot on 35mm film and features special effects by Framestore, of Guardians of the Galaxy (and myriad other films) fame. He tapped his own industry connections for the production, and brought years of experience as a director and performer into the mix — he’s also directed videos for the likes of the Arctic Monkeys and Vampire Weekend. Although Ayoade hadn’t made a music video in around 10 years (if you take a look at his credits, he’s been a bit busy), he was happy to work with Deal and Co. on “Spacewoman.” He’s been a fan of the Breeders since he was around 13, when he traveled from his home in Ipswich to London to get the band’s first album, Pod, when it came out in 1990.